From the fanciest clothes to the tiniest of trinkets, Commercial Street has all you need for the shopaholic in you. Located near Shivajinagar, this area of shops is easily accessible and is a must visit for all your shopping needs. From antiques to sarees and jewelry, you can buy anything you need without burning a hole in your pocket. 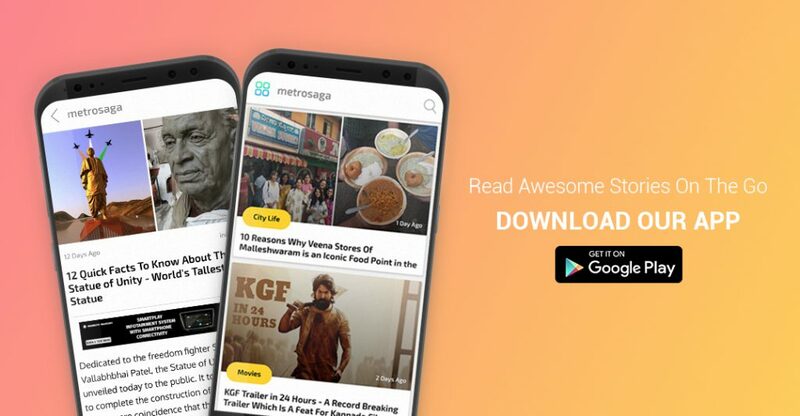 MetroSaga brings to you the things you must check out in Commercial Street. The stores in commercial street sell authentic silver jewelry for all the silver lining you need. A store which deserves special mention is Sri Suryanarayan Art Jewellers. This store has everything you might need, from rings to chains to pendants and earrings, besides the bracelets. Though ethnic, their collection is contemporary and you cannot resist buying some of their art (Yes, their jewelry is more than trinkets; it’s art!). Though the prices might be towards the higher side, their collections are worth buying from. Though the slippers bought from Commercial Street do not claim to be better than the household brands like Bata, they are definitely easy on your pocket for at least a few months. Even the much talked about Kolhapuri footwear can be found in shops across the area. Intricate in design and trendy to the eye, the cost of these slippers vary with the quality of the leather as well as the intricacy of the designs. When you’re not in the mood to spend too much on accessories, yet need them, you can indulge in guilt-free shopping at Commercial Street. From imitation jewelry and sunglasses to belts and trinkets, there is nothing you won’t find here. This place has all you need to shop till you drop! Looking to add some old world charm to your house? Here’s where you need to look no further. From vinyl records to gramophones and various brass and bronze sculptures, you can find everything you’ll ever need in this street. Arm yourself with a keen eye and excellent bargaining skills and you’re good to go. No shopping spree is ever complete without buying or even trying out clothes. Brand rejects, export surplus…the shops here have everything under the sun. All you need to do is be very patient when you come here, and you can choose exactly what you’re looking for. What’s more is that in case an outfit doesn’t fit you perfectly, you could get it altered by the tailor sitting inside the shops! Isn’t that super convenient? If you’re looking to buy traditional, artsy items home decor, then Asiatic Arts and Crafts is the store you must be looking for. From giant clocks and wall hangings to handcrafted keychains and bells, this shop has everything you could possibly look for. Who doesn’t need food whilst on a shopping spree? From dosey to chaat and Gobi Manchurian, there’s no dearth of food on Commercial Street. If you happen to be a fitness freak, you can choose to enjoy a fruit or two. You must not miss out on the rava jalebis behind Shivajinagar and khova naans available near Lubbay Masjid. If you’re playing it safe, there’s Tibbs Frankie and sweet corn to enjoy. To top it off, you can quench your thirst with the easily available fresh lime soda. All you need to do in order to make the most out of this experience is to come over early, to get what you’re looking for. Arm yourself with cash, for not many shops here accept card and wallet payments. Be patient and you shall find what you seek. Have a great time, Bengaluru!